Denon and Marantz are set to launch a wide range of products across their product lines in the next few months, with Marantz having replacements for the popular CD6005 and PM6005 entry-level stereo components, a CD player for the MusicLink system and a flagship 10 Series featuring DSD upscaling plus an integrated amp designed as a preamp and monobloc power amps in one unit. Denon meanwhile, has a new range of AV receivers, with some models incorporating the company’s HEOS multiroom system, a range-topping receiver with 11 channels of amplification built-in, and an all-new headphone line-up celebrating the 50th anniversary of the company’s first pair of ’phones. And there are plans to expand and extend the HEOS technology beyond the existing wireless multiroom speaker line-up: the new HS2 models are now on sale, offering hi-resolution capability up to 192kHz/24bit, due to be extended in the future to handle DSD; the company has shown a prototype AV unit (below) with multichannel amplification plus the choice of using HEOS speakers to give wireless surround; and HEOS integration is extending some Marantz models as well as the upper reaches of the Denon receiver range. That last element is part of what D+M’s Terry O’Connell describes as turning HEOS from being purely a standalone brand into an ‘ingredient’ for other models in the range. Internal discussions are still being held as to how many more Denon and Marantz products will become HEOS-capable beyond the current clutch of AV receivers across the two brands, and how the ‘ingredient’ will be described – one favoured solution under consideration being ‘Powered by HEOS’. However, expect to see more HEOS-capable products appearing, from receivers and amplifiers to systems and maybe even headphones – as the company moves to extend the wireless interoperability of its two brands. One of the Denon models with HEOS onboard will be the AVR-X6300H (above), due in the shops in October at £1899: as well as both Dolby Atmos and DTS:X (with Auro 3D due to be added via a firmware upgrade), and wide-ranging 4K/HDR compatibility, the ’6300H has 11 205W channels of amplification onboard, 13.2-channel preouts, Audyssey MultEQ XT32/LFC calibration with a new Audyssey App on the way, and the ability to play hi-res audio all the way up to DSD. The Denon Design Series is set to gain another CD player, this time matching the DR100 network receiver, and among the celebratory headphone models is the AH-D7200 over-ear design, due on sale at the end of the year at £599. 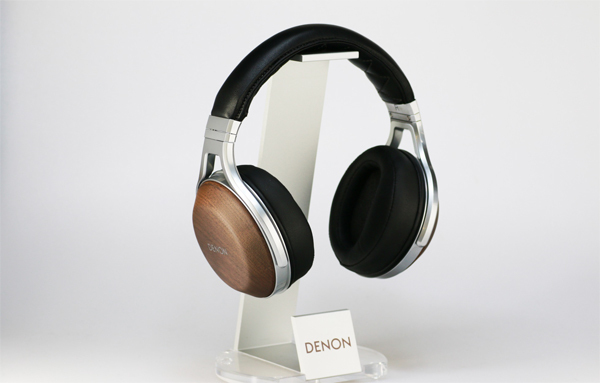 This model uses a real-wood enclosure for the 50mm Denon Free Edge Drivers, an ultra-high purity 7N copper cable, and a floating plug design to avoid mechanical noise transmission. The company is also set to launch a new wireless ‘fitness earphone’ design, the AH-C160W, with Class 1 Bluetooth for better transmission, extended battery life despite being 20% smaller and lighter than the existing AHW150 model, and improved waterproofing and sweatproofing. Available in three colours, the new model goes on sale in November at £129. Marantz is overhauling its AV receiver range with new models culminating in the 11.2-channel SR7011, complete with HEOS, DSD streaming, a full range of 3D audio formats and 4K/HDR compatibility. It has nine 200W amp channels, Marantz current feedback HDAM amplification, and will sell for £1399 when it arrives in September. There’s also a new AV preamp, the AV7703 (above), which hits the shops in November at £1699. It has similar specifications to the 7011, but with 11.2-channel preouts on both RCAs and XLRs, and again comes with HEOS connectivity. Marantz has update its popular slimline AV receiver: the new NR1607 (above), on sale this month at £599, has both Dolby Atmos and DTS:X decoding, 4K passthrough and upscaling, hi-res playback up to DSD5.6 and seven HDMI inputs. 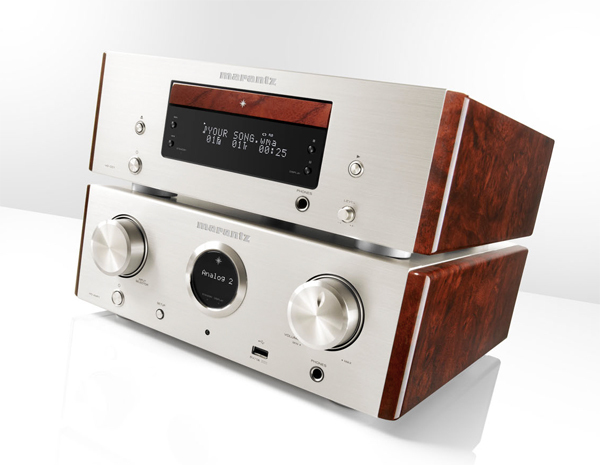 The company is aiming to boost its market-leading status in the CD player and amplifier markets with replacements for the popular CD6005 and PM6005: the CD6006 is retuned for enhanced sound quality, while the PM6006 has gained an extra optical digital input, and has component improvements throughout. Both models are available immediately, at £399 apiece. 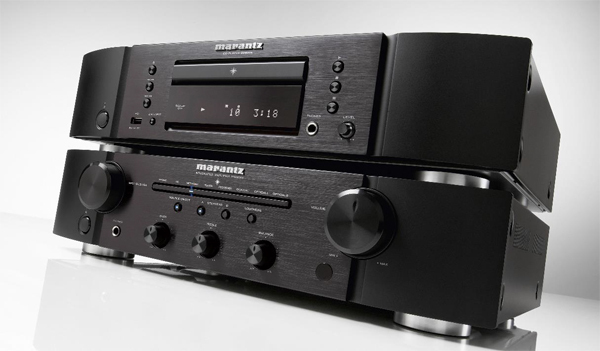 The new Marantz MusicLink system, comprising the HD-DAC1 and HD-AMP1, will be joined in September by a £449 CD player, the HD-CD1 (seen above with the HD-AMP1). 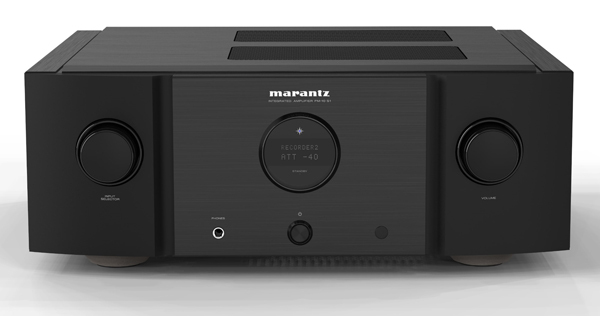 Tuned by Marantz Brand Ambassador Ken Ishiwata, the new player is designed as a high-end machine in miniature, using the company’s preferred CS4398 DAC and an HDAM-SA2 output stage. You’ll have to wait a while for the stars of the show, however: the new Marantz 10 Series won’t be available until next January. Described by the company as ‘The New Reference’, the £5499 SA10 SACD/CD player/DAC and £6499 PM10 amplifier are designed to build on the company’s celebrated SA7/SC7/MA9 system of 12 years back, and are named in honour of the company’s legendary Model 10B tuner, the first source component designed under Saul Marantz. The SA10 has both disc playback and USB input, with format compatibility all the way up to DSD11.2/256 – even with files burned onto data discs, thanks to a new SACD-M3 transport – and upconverts all incoming file formats to DSD11.2 before conversion to analogue. This process is part of what’s called Marantz Musical Mastering, combining MMM-Stream filtering and upconversion and MMM-Conversion to turn the DSD stream into audio output. It’s the result of a close co-operation between Ishiwata and Marantz designer Rainer Finck, who was part of the original team behind the development of Bitstream conversion at Philips. Bitstream converters have fallen out of favour, but one of the very best of their kind was the TD1547, otherwise known as the DAC 7, used in Marantz players of the past. Known for its musical sound and even tonal balance, the DAC 7 was a 1-bit DAC, just as DSD is a 1-bit format: rather than the combination of, say 24-bit resolution at a 192kHz sampling rate, as used in many hi-res files, DSD uses 1-bit, but at a much higher sampling rate. So DSD64 (used for SACD), is 1-bit at 2.8224MHz, and DSD256 – or Quad-DSD – is 11.2MHz/1-bit. This means music stored in DSD is a much more literal representation of the original analogue waveform of the sound recorded, and thus needs much less processing to turn it into audio able to be passed to an amplifier. Or, as Ishiwata puts it, ‘DSD is analogue’: the signal to be passed to the conversion section in the form of a high-frequency stream of pulses, requiring only a very high-quality low-pass filter to pass the purest possible audio to the player’s output stage. Partnering the player, the PM10 amplifier has separate preamplifier and dual bridged monobloc amplifier channels, all the way back to power supplies for each, all ‘under one roof’. It uses Marantz HDAMs in the fully-balanced preamp, which includes a high-quality discrete phono stage for both moving coil and moving magnet cartridges, and will deliver 200W per channel into an 8ohm load, rising to 400Wpc into 4ohm. I’ve had the previous version of those Denon headphones for a few years and still love them. Great look and sound and sooooo comfortable too. CDP MARANTZ SA-10 is surely a masterpiece which many audiophiles have expteced for a long time. I believe it will surpass the flagship SA-11S3 and make the name Marantz brighter. 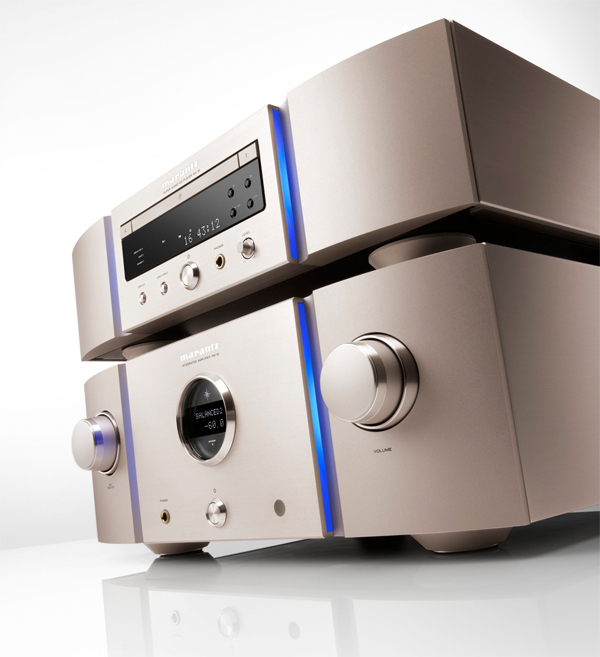 “Marantz means warm and sweet music” will be a slogan with the release of SA-10 on next few months! Nice article – thanks. Not sure I want my pure DSD64 SACDs forcibly ‘upsampled’ to DSD256 … but happy to give it a listen. 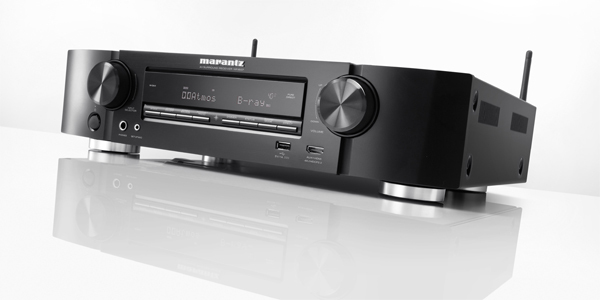 The other interesting aspect is the reference to the new Marantz MusicLink system with the £449 CD player, the HD-CD1. Hopefully that will be able to play SACD too … I have always liked Marantz’s compact units — they would be perfect for the study or another room – but they need to be able to play SACD, or it’s no way Hosé for me. At Last! At Last! Having campaigned on every hi-res website for years and with anybody at Marantz who would listen including Ken Ishiwata for a worthy successor to the outstanding world-leading SA7-S1 SACD player, here it is. I can’t believe it. Pundits would have your believe CD is dead, SACD never left the cradle…. Marantz could not have been listening and we should be thankful for that. 2016, a new CD/SACD/Hi-res player… fancy that. Please wake me up in the morning. YES! A replacement for the SA-7S1 at last… Hoping it will be a big step up in sound quality and eager to find out how it compares to new PS Audio DirectStream Player into DirectStream DAC.